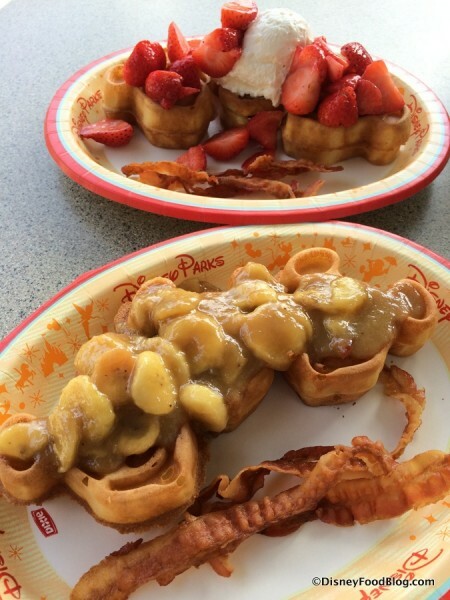 Loaded Mickey Waffles ARE BACK at Disney’s Wilderness Lodge… With a BIG TWIST! We’re starting the day with waffles, waffles, and MORE waffles at the Roaring Fork! 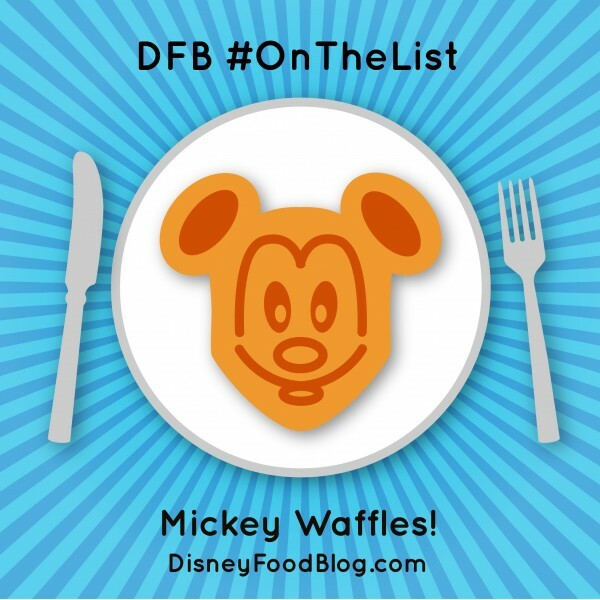 Oh, and did I mention they’re MICKEY WAFFLES? 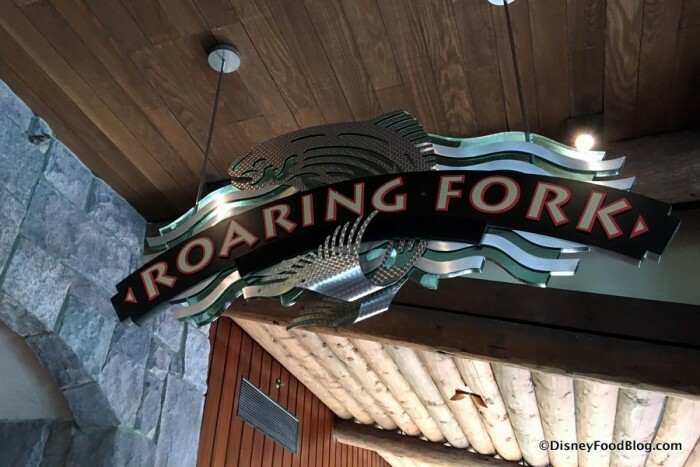 Now, we’re no strangers to Roaring Fork, the Counter Service restaurant at Disney’s Wilderness Lodge. Typically, though, we’re taking a look at their bakery case, which is known for adding some terrific cupcakes to the Disney Cupcake realm. Through the years, those have included the Carrot Cake Cupcake, the Chocolate Caramel Cupcake, and the S’mores Cupcake. And the Magic Cookie Bar, while not a cupcake, is certainly no slouch of a dessert. But Roaring Fork has another claim to fame, thanks to a selection of Mickey Waffles available throughout the morning. And though they aren’t technically desserts like their bakery case counterparts (Captain Obvious says “You’re welcome” for pointing that out ;-D), each of the three selections offer, in their own ways, a decadent start to your day at Disney World. 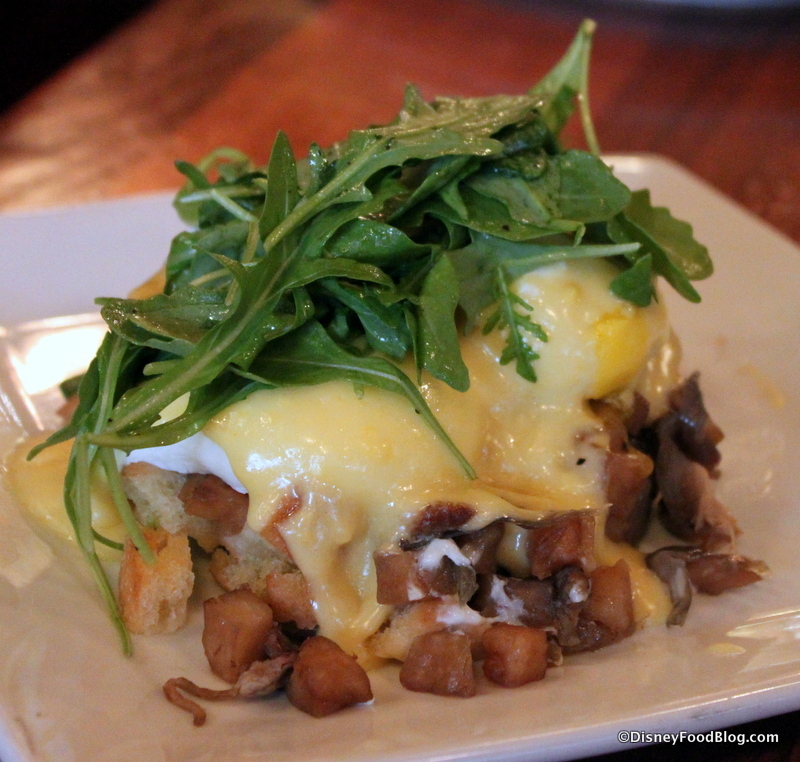 So get ready to step in with me and say “Good morning!” to the Roaring Fork! 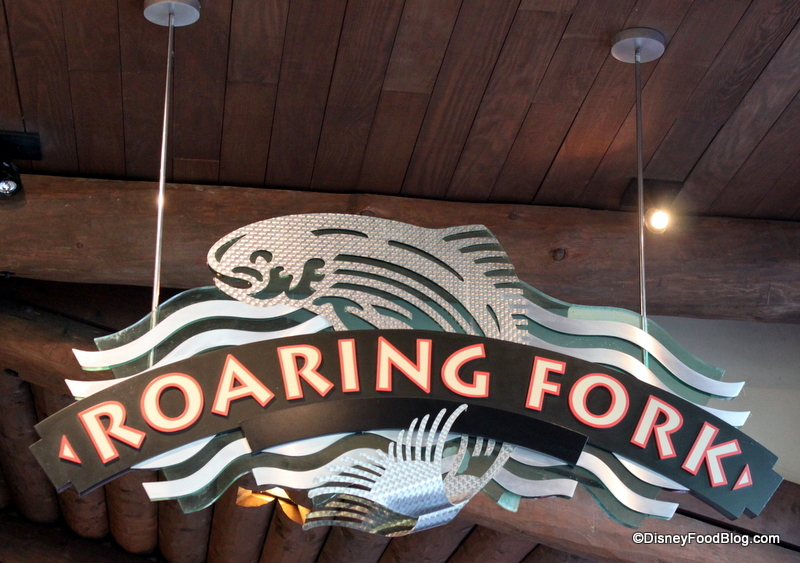 The Roaring Fork naturally echoes the rustic Pacific Northwest vibe of its home, Wilderness Lodge. We’re tackling another question from the DFB Reader mailbag! And today, it’s all about breakfast. Where can we get a good breakfast if we are NOT into characters or buffets? 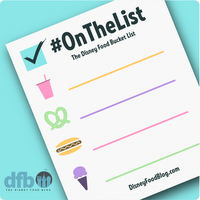 There are lots of spots to enjoy a terrific breakfast at Walt Disney World — even if you prefer not to have characters, and you’d rather order a la carte. We’ll break down a few of our favorites below, and share why these spots are tops for starting your Disney Day. If you are crunched — for time, money, or both — then consider some of Disney’s best Counter Service Breakfast options. Deluxe resorts are some of my favorite spots for counter service eats. Roaring Fork at Disney’s Wilderness Lodge offers Mickey Waffles with a variety of toppings. We love the Bananas Foster option! And at Captain Cook’s, located in the Polynesian Village Resort, you can indulge in an iconic Disney breakfast — Tonga Toast — without paying table service prices!